At the Ohio Reformatory for Women, the therapeutic community called Tapestry doesn't just work on recovery and rehabilitation, they sing. In a partnership with The Harmony Project, 100 women have learned to carry a tune - one that is heard across the world. 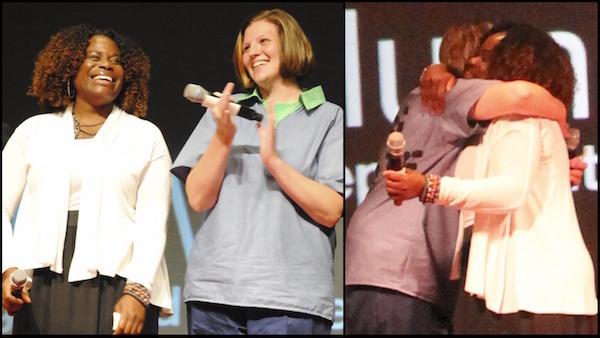 These women have found they can serve a purpose while serving a sentence. In this video, hear from the founder of The Harmony Project, David Brown, the Inside/Out Choir and a follow-up from the warden of the Ohio Reformatory for Women who brough with her Gabrielle Lynn Crosby to close both their part and the entire TEDxColumbusWomen conference. Gabrielle is an inmate at ORW and a member of the choir who bravely took a TEDx stage for the first time ever outside prison walls.